Long Tail Pro Review – Is it still beneficial for keyword research? Whenever you are working on your micro-niche blog, the biggest challenge is to find the right keywords which can assist and help you to drive more traffic, rank easily and at higher position resulting in generating a large sum of revenue for you. We have studied many tools used to high CPC keywords detection, and today we will be discussing Long Tail Pro with its features and benefits in detail. Since its launch back in 2012, Long Tail Pro has gained quite a popularity, and now its is among the best keyword tools present in the market. It is quite a straight forward product, and by simply creating an account, you can start your keyword research. It is a desktop keyword research tool which generally runs on Adobe Air which works on both Windows and Mac. It is a premium tool with low cost, and you can try this tool with a free trial offered by the company. One of the best thing about this tool is that you don’t have to be an expert in SEO to utilize this tool at its fullest capability. As its name suggests, the main focus of this is on long tail keywords which are, keywords with four or more words. Since these keywords are less competitive, they are ideal targets, and it means that they are easier to rank. This SEO tool offers more than just keyword research and comes with lots of features. Mentioned below are few of the best features offered by this tool which will certainly make you try this software. Its interface is quite straightforward and simple to follow. It is very easy to get used to it. You can create multiple projects on this tool. You can start various campaigns for your various websites. It helps you in organizing your websites and their SEO requirements. It generates keywords based on the seed keyword provided by you. We will explain more about this feature later on. You can easily export the keywords in an Excel spreadsheet. You can easily find long-tail high CPC keywords using this tool which is quite useful to increase your AdSense revenue. You can also find available domain names especially when you wish to create a micro-niche blog. You can use this tool to suggest available, keyword rich domain names. With the help of this tool, you can also find the Google, Yahoo and Bing ranking of any keyword. It comes with keyword completion checker which is a great feature to find out the best keyword you can target. You can also favorite your best keywords using this tool. The foremost thing you have to do is to create a campaign. Note that, the country you choose is the search country for your keyword research. Once you have created the campaign, it is easy to handle since rest of this tool’s interface is quite easy to use and very self-explanatory. Now comes the step where you will start your keyword research. You can utilize this tool for any of your existing site or use it for finding a new micro-niche website you wish to start. Now you have to special attention to filter section since you will now find keywords based on CPC. You can also define minimum CPC for your keywords. In case you wish to search long-tail keywords, then you have to select the “Words” section and then enter the minimum number of words to search for. Now enter words as seed keywords. Just click on “Generate Keywords” and then this tool will start searching for the keywords you are looking for. It takes few minutes to deliver the desired result. On receiving the results page, you can easily find many keywords according to your filter (CPC). You will now see a sorted list of keywords based on CPC according to local and global searches. Before moving ahead, you can filter out the irrelevant keywords by simply clicking on the “X” mark next to the keyword. This helps you to stay organized and also makes your list clean. Now you can click on any of the keywords provided by this tool which is useful for your micro-niche site and it will automatically take you to the Competitor Analysis page. When you arrive in a competitive niche, you have to pay special attention to specific factors. For instance, it is quite easy to outrank any competition which has less backlinks and less domain authority. The Competitor Analysis tool allows you to check all the necessary details. You will see that it is quite easy to find a “low-hanging” and a profitable keyword. By this way, you can easily find a list of highly profitable keywords which you require for your niche site. You must remember that, in order to make the most out of the “Filter” option present in the “Campaign settings” by using the “X” every time to create a neat and clean keyword list. Once you have reiterated the process a few times, then you have to go back to “Keyword Research” and then click on the “Export” button in order to export the final keywords into an Excel spreadsheet. Importing up to 10,000 keywords at once. This is a salient feature as it allows you to pick the best keyword for your website without wastage of any time. In Long Tail Platinum, you will stumble upon the “Avg. KC” column on the pages named “Keyword Research” and “Competitor Analysis”. Higher the Avg. KC score of a keyword, stiffer the competition is. This will certainly make things easier for you when you have to pick the best and easy to rank keywords according to keyword competitiveness. Before starting this feature, we would like to notify you that this feature isn’t available in the cloud version of this tool. Now, this feature is the least talked about features of LongTailPro since most of the bloggers are using this tool only for keyword research and finding the competitiveness of the keyword. But this feature is quite interesting. Using this feature, you can easily check the ranking of your keyword in important search engines like Google, Yahoo, and Bing directly from your desktop. Without any limitation, you can easily add as many domains or keywords you wish. 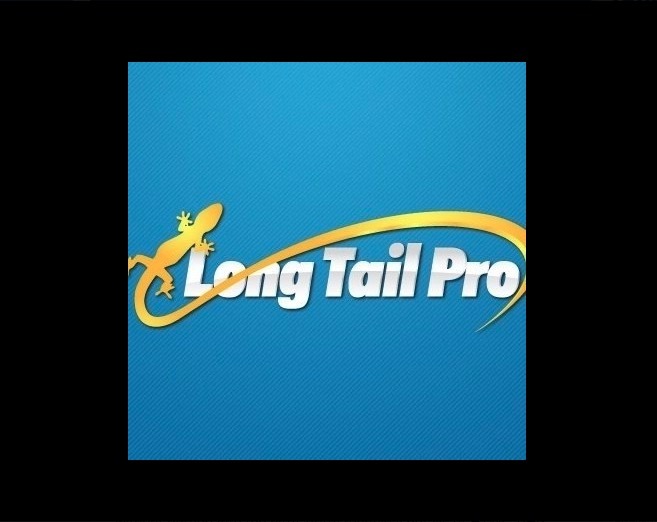 Now, we mention the pros and cons of Long Tail Pro. Few of the great things about this tool are now discussed below. In case you don’t like complicated research tools, this tool is the best bet. It is quite simple to use. Understanding this tool takes less time, and you can master this tool easily. Its user interface is quite simple and intuitive which makes things simpler and easier. This tool offers you with an extensive range of data which you will find very useful in order to select ideal and right keywords for your website. In case you wish to know every detail about the keywords, it is present right there for you to understand, analyze and utilize. It is best for people who wish to use Google Adwords in order to buy traffic as it reveals the average bid associated with each keyword. You can easily create your own Ad-word campaigns which is done automatically, and you don’t require any knowledge of how to set up Google Adwords. This is one of the best feature which you will like as it makes it possible for you to narrow down your search to get better results. There are many filters available with this tool which remove or reveal specific keywords only. For instance, you can easily filter results for any amount of traffic or any amount of words, etc. This tool’s most important feature is Keyword competition when it comes to target long tail keyword phrases. You will certainly like this feature as it presents the websites that currently rank for the target keyword you are working on, right off that bat. It also provides you a little insight into the process of achieving rank for a keyword and standing out from your competition. In order to find this manually, you can do just a quick Google search. However, it certainly improves your efficiency in performing keyword research. There are many keyword tools available in the market, and some of them are decent. However, they take a long time to deliver results, and if you hate to wait for the result for long, then this tool is the best. This tool is really fast as it also gathers data within few seconds, It also filters the results quite quickly. However, it does take awhile to load massive keywords databases. For the top closet matches, it easily provides results without wasting any time. You have to start a brand new project, and then you have to type in a keyword seed. This might confuse many new users since they don’t have any idea how to use a keyword seed. However, it is quite simple, and a keyword seed essentially provides you the tool to start and then look for all related keywords. Also, you can enter more than one seed. You don’t have to worry much about it and feel free to put in all the one-word keywords which are related to your website niche, all separated by commas. But there are many user interface related issues which will require some time to get used to. In order to use this tool, you have to download it and remain connected to the internet. Most of the people are not used to download tools. However, this tool is relatively small, and it takes only a few seconds to download as well as installation. In case you don’t like to download tools, then you may want to remember this fact. Even though this tool is not that expensive as other tools, but when it comes to new users, it may seem to be little expensive. Each of these packages provides different features. Talking about the first package, the Monthly Starter subscription includes almost all feature, but some of them are locked such as instant competitor viewer which is locked. In order to get the unlocked version, you need Monthly Pro package. However, this is not a big issue as you can perform this task in a couple of seconds by simple Google search by using the targeted keywords. Coming to the end of Long Tail Pro review, we would like to summarize the key features of this feature. It is straight forward and an excellent keyword tool which is best suited for serious marketers who are already earning a decent amount of money. However, this tool is so easy to use that even new user can perform keyword research and achieve the best results out of it. It keyword competitor feature is one of the most salient feature which assists in finding out the competition on a particular competitor. This allows marketers to find the right keyword to target in order to use it in their niche website. It may seem that this tool is for people with established websites, who are looking to grow their traffic as well as want to expand. However, this tool doesn’t provide any training. Still, it is a very simple product. It has a small learning curve, for instance, you have to learn about making new projects and using keyword seeds along with other similar tasks. We recommend Long Tail Pro since it is an awesome tool for keyword research and the data provided by it is accurate. Just try it yourself, and see the efficiency and utility of this tool.